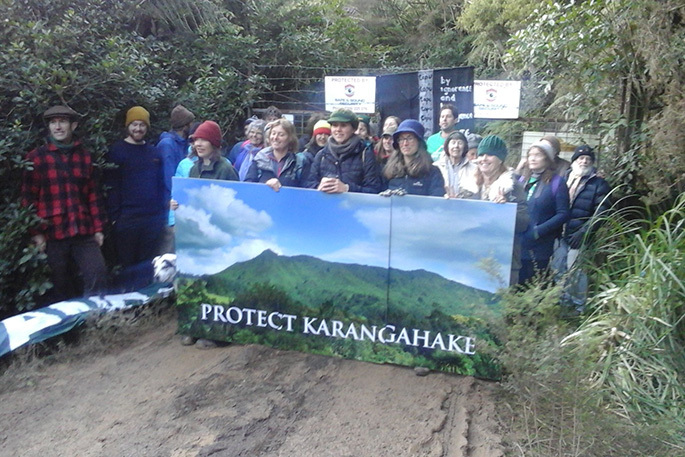 Protestors blocking people from entering the mine site in 2017. Photo: Catherine Croft/Twitter. New Talisman chief executive Matthew Hill is excited by the prospect of gold, but says the operation had received little support. "We really are left to work within the regulations." The co-ordinator of the Coromandel Watchdog, Augusta Macassey-Pickard, says New Talisman is not welcome in the area. Augusta also has doubts about the company's size and strength. Mine manager Lincoln Smith says opposition is expected but protests at times had threatened the safety of mine workers. "The average New Zealander doesn't really understand the industry at all. It's probably a little bit of ignorance. Hauraki District Council deputy mayor Toby Adams says the company had kept to itself, and done little to engage with the local community. Lincoln says the company's relationship with the community had improved, but it still felt isolated. Energy and Resources Minister Megan Woods says the government wanted to better understand New Zealand's mineral estate and had granted funds and rolled out research projects to do that.